This site contains links to pages about rational expression terms and problems, as well as adding, subtracting, multiplying, and dividing rational expressions. This page defines rational expressions and the domain and has examples about each. 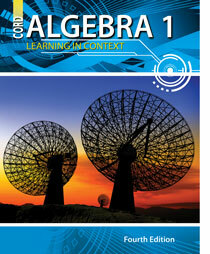 This site presents and provides practice for graphing and analyzing rational expressions. This site presents guidelines and practice problems for graphing rational expressions. This series of pages explains how to simplify rational expressions. This site has notes and examples on how to simplify rational expressions. This page details how to multiply rational expressions and uses examples. This page details how to divide rational expressions and uses examples. This site demonstrates how to add and subtract rational expressions through examples. This page has notes on how to add and subtract rational expressions and has step-by-step solved examples. This page contains a gizmo that has a graph displaying direct and inverse variation. This page discusses inverse functions and their graphs. This page discusses inverse variation problems and how to solve them. This page details how to solve rational equations. This site explains different methods of how to solve rational expressions.